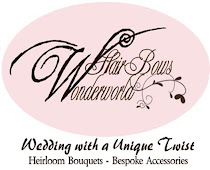 hairbowswonderworld: Facebook Fanpage Launch Celebration continues!!! TUTORIAL GIVEAWAY! Yay! Facebook Fanpage Launch Celebration continues!!! TUTORIAL GIVEAWAY! Yay! Thank you so much everyone for participating in my facebook launch flower giveaway! I will post the winner on Sunday in a separate blog post. However I decided to continue the celebration for a full month. 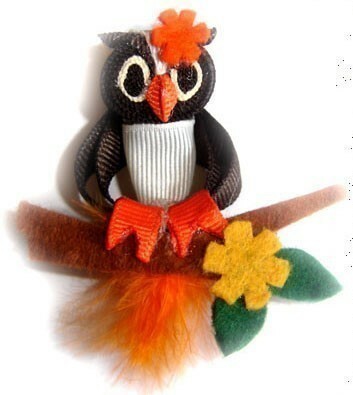 This week I am going to give away my owl ribbon sculpture tutorial to the first 20 lucky participants. I hope it's something you can make for halloween! 5/This giveaway will last a full week until next Friday Sept.9th. If you are not in the first 20 and still want the tut, leave a comment here I'll list it for you in my Etsy for half the price! Lets play and have fun! Thanks everyone :)! Please don't forget to let me know you email so I can send the tut to you. If you don't want to leave it here, FB MSG me or convo me on Etsy and tell me your blogger ID, too so I can keep track on all entrants. Thank you so much :)! I liked you on FB! I'd love this tutorial, so cute! Your owl is awesome! I'd love to see the tut. I just liked you on Facebook!!! I love your stuff, it makes me wish I were geting married!!! I just liked you on Facebook! Love the owl ribbon sculpture! Sooooo Cute! I just liked you. I love the rolled rose tut that I bought from you a few weeks ago. I just liked you!! I love the owl! Thanks very much for participating. Tutorial is sent to all 20 entrants above. I hope you like it! Enjoy! Post here if you want it @ half price I'll list it @ half price and reserve it for you :) - until Sept 04th only! I think I'm late... I'm your fan in FCB now. Love the owl. My little girl is turning 4 in two weeks and her party theme is pink and brown with an owl on it. This would be so perfect. I forgot to say that I want a reserve listing. Thanks. Reserved for you Marie :) Thanks! Thank you so much everyone for your participation. This offer now ended!